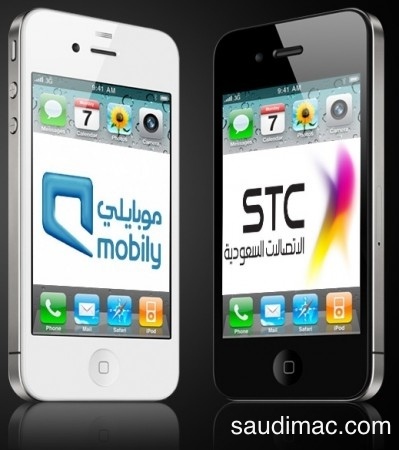 Both Saudi Telecom Company and Mobily has announced today that they will launch the iPhone 4S in Saudi Arabia officially on December 16th. Prices and other details (FaceTime, iMessage support) were not announced. But we expect more details to be announced soon. The iPhone 4S will also be launched in the following countries on December 16th: South Africa, Philippines, Malaysia and Taiwan. There might be similar launches in the UAE, Qatar, Kuwait, Egypt and Jordan. iMassages is blocked too?Â but it working on the iphone 4g? why not in Iphone 4s? iMessage is a feature of iOS5. Having iPhone4 or iPhone4S doesn’t matter. For me with iPhone4 @ STC sim, it doesn’t work. So, my belief, iMessage is not for KSA. Even my iPad2 can’t run iMessage. iMessage is working (STC SIM, Mobily iPhone 3GS). I knew it is working with STC iPhone 4 as well. I don’t know why does it not work with me. It starts trying with iMessage, tries tries tries then something fails and the message is sent via SMS. Any idea? @Malik: Most probably the person you’re sending the iMessage to doesn’t have iOS5 or is in an area without Wi-Fi or 3G reception. Ahan! That’s the catch! Now I got it why yesterday it worked with me for the first time ever. I just they will have enough stock to supply for their customers not JARIR! iÂ knowÂ theyÂ haven’tÂ announced the price..bt does anyone have any IDEA how much 16/32 gig wud b ? I just got mine from Saletab.com – their price is good and customer service is very friendly. I just got mine from a website called http://www.Saletab.com – their price is good and customer service is very friendly.